Sorry I’ve been a little slack lately . I’ve discovered a new social networking site and am currently getting my profile up and running to help me with my blogs . It is fantastic and has amazing rewards !! If you’re interested in joining, my invite is above so you can. 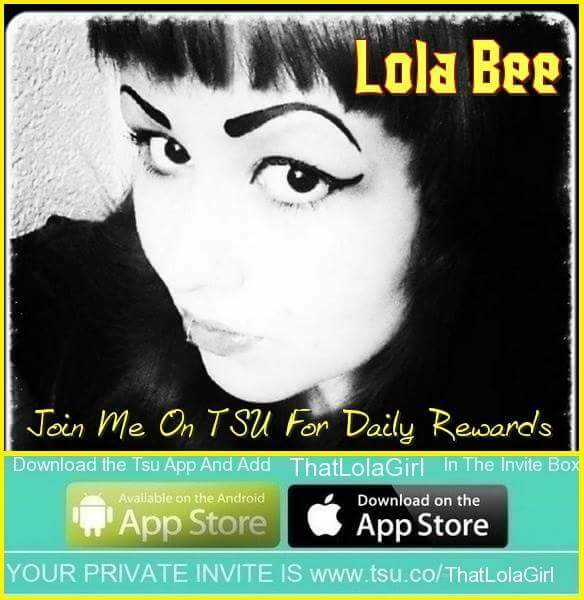 Just enter ‘ThatLolaGirl’ when signing up and you are away . I will help you and your business / blog / whatever you choose to add to it , get up and running . Just give me a shout and I will point you in the right direction. I highly recommend this for bloggers, it has helped me out more than any other site . It’s super fun and so easy to use.